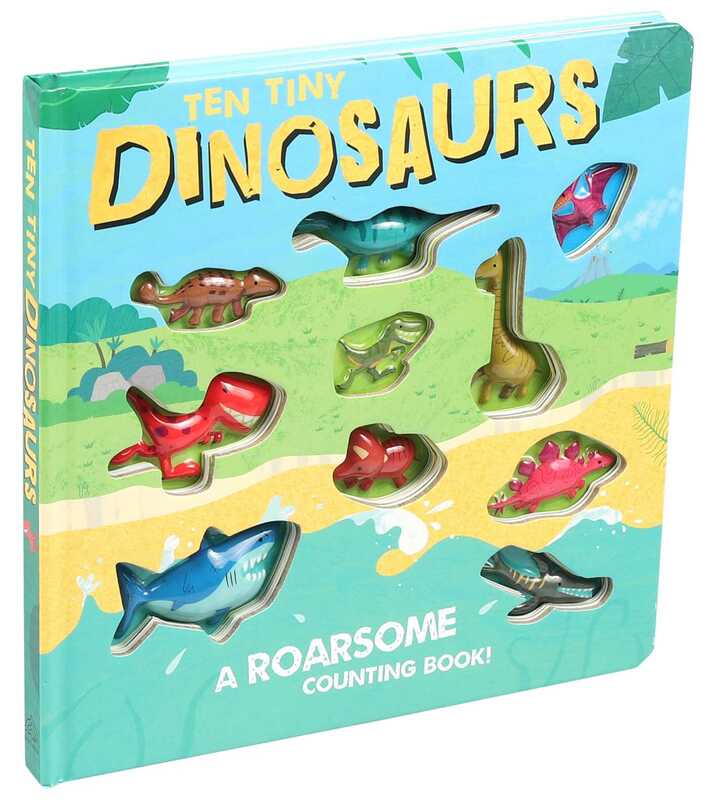 With fun rhyming text, colorful illustrations, and 10 plastic dinosaurs embedded into the pages, this book is perfect for playtime! Can you hear that roaring and the stomp of little legs? Ten tiny, daring dinosaurs have just hatched from their eggs! Follow along with these adorable die-cut dinosaurs as they run and play in this interactive board book. With fun rhyming text and colorful illustrations, this book is perfect for little ones who love dinosaurs! Ian Cunliffe has been an illustrator for over twenty years and lives and works in London. He combines handmade techniques with a sprinkle of photographed textures to produce illustrations with humor, charm, and great personality.